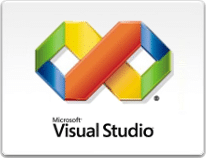 Rhyous » Blog Archive » How to upload a file to an FTP server using C#? How to upload a file to an FTP server using C#? Ok, so today I needed to FTP a file. It took me some time and research but I have a function that will upload a file to an FTP server. I found a lot of examples that were very complex, and rightfully so as they have a lot of error and exception handling. However, this complexity makes it difficult to learn. // to the full URI. This works well for most files. If only I had a nickel for each time I came to rhyous.com! Incredible writing.